Home > Special Offers > Service > Complimentary 4 year Prepaid Maintenance! 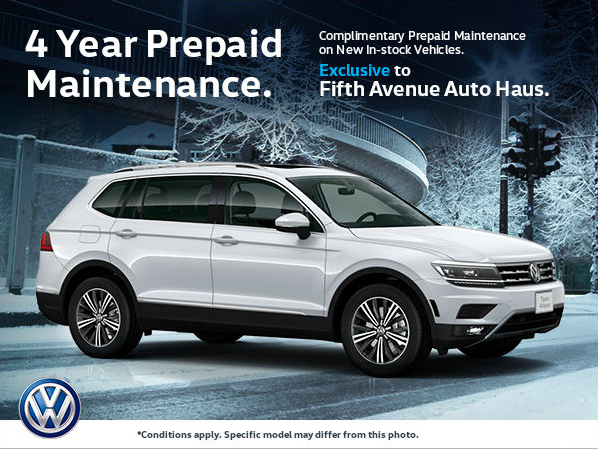 Complimentary 4 year Prepaid Maintenance! Get complimentary 4 year prepaid maintenance with the purchase of a new vehicle. Certain conditions apply. Vehicle must be delivered in February. Certain conditions apply. Contact dealer for more details. Vehicle must be delivered in February.